In the 20’s and 30’s, couture gown designers started designing personalized labels for their clients, and attaching them inside the gowns. Now brides can use this special touch to make wedding gowns truly their own. 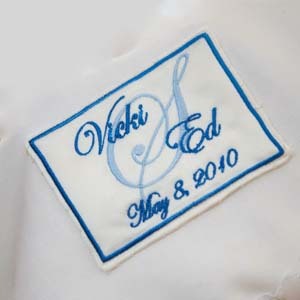 When the tradition of labels for wedding gowns started, it was seen as the last time a bride would use her maiden name. 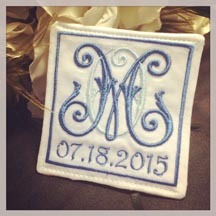 So the bride’s full maiden name and wedding date were sewn into the gown. 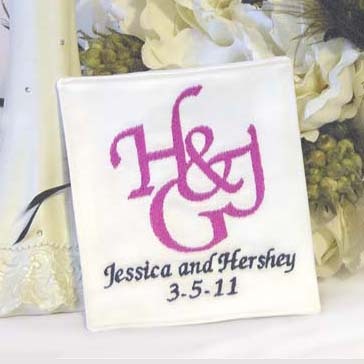 More recently, brides began choosing to put their name and the groom’s name on the label with the wedding date. 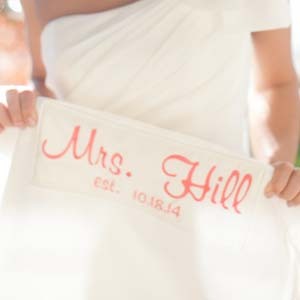 Today, anything goes—from nicknames, monograms, or symbols—whatever the bride feels has the most meaning for her. 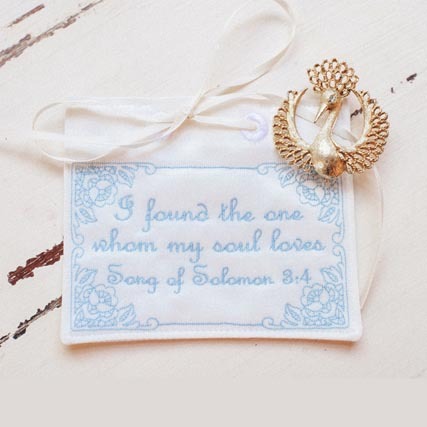 want to have with you on your wedding day. 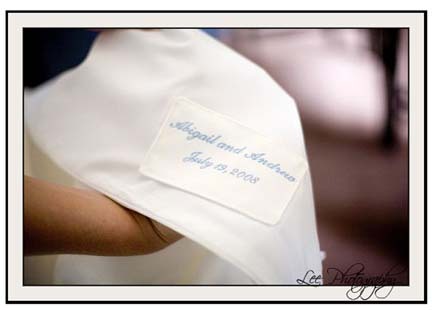 After the wedding, the label becomes a memento for future generations-they will have the name and date from the day the dress was worn. 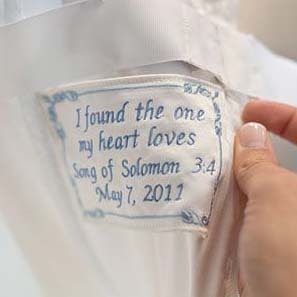 This is a special touch for a dress that will be handed down. 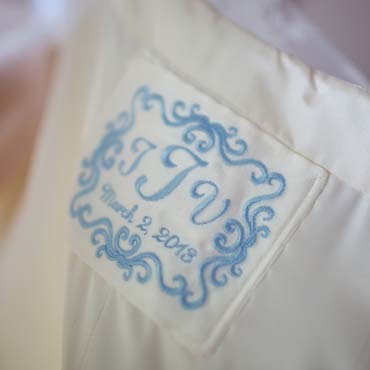 And if you decide not to keep the dress, the label can be removed, and kept as a memento of the gown-perhaps to be placed in your wedding scrapbook, next to a picture of the dress.